For the past year I have been struggling with an ongoing listlessness in my life. I have been feeling slightly off mission and off purpose. There is a sense of gnawing annoyance with my life, but I haven’t been able to put words to it. It isn’t that I don’t love what I do, I have a lot to do, and there is more than enough life to go around…just something has been missing. 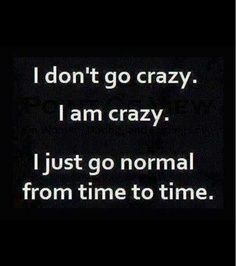 I think I have gone ‘normal’ for much too long! Crazy stuff is a bit hard to define. For me it is not skydiving, climbing a mountain, or jumping off cliffs, rather it is when life seems to have more color and in the midst of it you have this undeniable sense of “I was made for this” and worrying about what other people think falls away. Crazy Stuff – Random, hard to accomplish adventures that change people and places for the better. Examples include publishing books, winning writing competitions while on an epic road trip, getting stuck in freak snow storms, bodybuilding, speaking at high schools, and bringing together a group of women from around the world to live out their dreams together. Crazy stuff is what dreams are made of. When I look at some of the seasons I have loved most and when I have had a sense of ‘being on mission‘ it is when my life is more than just about me. Heck, even writing my silly little books is more than just for me, both were done with love for people and to create joy in the world. When I was finishing up Don’t Chaperone Your Best Friend’s Dates, I could barely sleep due to excitement. Going to bed was a chore and getting up just a few hours later to continue on the design, editing, and formating was done with great enthusiasm. Over the years I have read Chris Guillebeau’s blog and found him to be helpful and inspiring. When I was in the beginning season of my business, I read his book $100 Startup – it inspired and helped to get me ‘unstuck‘. 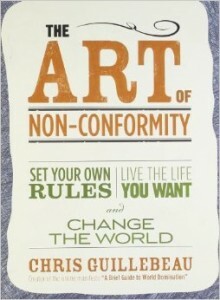 Just the other day I stumbled across his book The Art of Non-Comformity: Set your own rules, live the life you want, and change the world. Hooray for the public library! I love hearing about a good book and then just putting it on hold. A day later, this book was on the hold shelf just waiting for me. 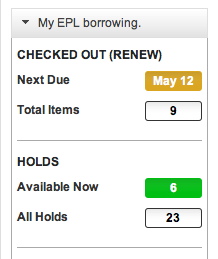 I am not sure if requesting books is laziness or productivity at its finest. This book is a compilation of advice based on Chris’s experiences in figuring out how to live a life of meaning and purpose. Add in a little Seth Godin, some Michael Hyatt-esque information, and sprinkle in Zen Habits here and there and you have AONC, as Chris calls his book. The bread is tasty – as good as it looks. The filling….leaves you wanting a bit more. I thought I was getting a French Artisan sandwich, turns out it was honey ham and mustard on a great baguette. What can I say? I like carbs. Nonetheless, there were quite a few gems that hit home for me. Some of us need goals, carrots to keep us moving forward. There is nothing wrong with a good carrot. When you have big dreams, you usually have big fears. The person who says something is impossible should not interrupt the person that is doing it. Don’t just escape something; escape to something. Make a stop doing list and be ok with the fact that everyone won’t understand. Create metrics for your most important work and measure your success by it. The biggest thing hit me over the head was at the beginning of the book where Chris shared a story about a guy he met year after year. This guy kept saying he wanted to do big things, but he never did. Instead of talking about the things I want to do, I am going to start doing them. My variety of crazy stuff. The stuff that makes me come alive and brings people out of the woodwork to comment on it and tell me all about my mistakes and mishaps. But the thing is, I probably won’t really care because I will be busy doing crazy stuff that matters. I have talked long enough. Talk is cheap, cheap like borscht! 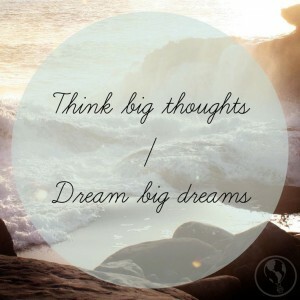 It is time to make it happen and measure it as I do it. What do you want out of life? What can you offer the world that no one else can? Recycling?! I seriously said ‘Recycling’?